The Plastics Industry Association (PLASTICS) offers programs to help our members lead safe and environmentally conscious businesses. 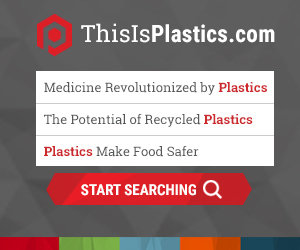 The plastics industry has real-world, 21st century challenges, and we’ve implemented programs to help address them. PLASTICS Safety Statistics & Awards Program: The Safety Statistics and Awards Program is a program that recognizes plastics facilities for their commitment to safety. Zero Net Waste: Using the tools offered through PLASTICS’ Zero Net Waste program, companies can turn their waste into valuable resources. Operation Clean Sweep: Operation Clean Sweep is an international program designed to prevent resin pellet, flake, and powder loss and help keep this material out of the marine environment. Global Marine Litter Declaration: The Global Marine Litter Declaration, signed by plastics organizations around the world, outlines commitments to reducing ocean pollution. Project Passport: Project Passport provides guidance on how to communicate product safety and compliance information about packaging raw materials, components and articles moving through the food supply chain. Plastics Hall of Fame: Honoring the men and women around the world who have made major contributions to shape the direction and future of the plastics industry.